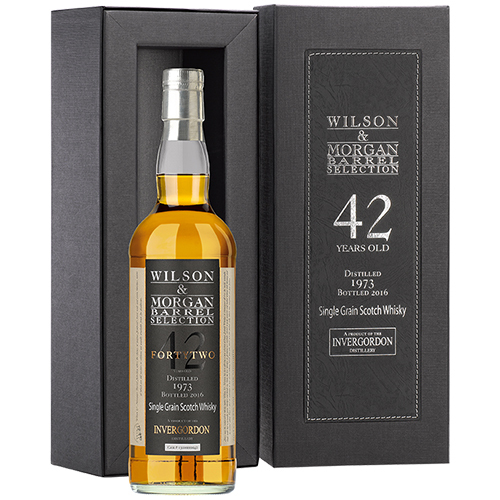 A very old Invergordon, fully matured in refill bourbon casks because slow aging with a restrained influence from the oak is always the ideal choice for getting the best from grain whisky. At the nose it’s actually quite subdued, with delicate hints of vanilla and pepper, and it doesn’t reveal the explosion of flavours that takes place with the first sip. This influence of this cask gave less vanilla and sweetness than expected: while the crisp sweetness of the cereals is evident, this isn’t a buttery and easy sweet grain whisky. The sweet background takes second place to the pleasantly balsamic bitterness of officinal herbs, mint, liquorice, rhubarb. While not too overpowering, this medicinal bitterness (with a nice peppery finish) is quite stimulating and unique.